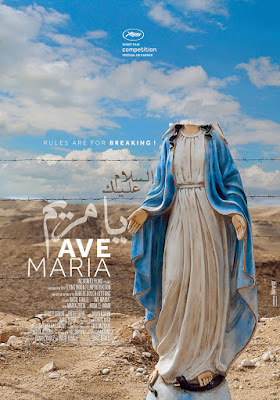 Movie: "The Oscar Nominated Short Films 2016 - Live Action"
A Jewish family crashes their car into a statue of the Virgin Mary outside a convent in the West Bank in Palestine. "Ave Maria" is a satirical short about the culture clash between a Jewish family and a convent of nuns in the Palestinian controlled West Bank. After crashing into the convent's statue of the Virgin Mary, decapitating her in one fell swoop, the family has to plead to the nuns for help so they can safely get back to the Israeli settlement. This short does enough in 15 minutes to make you laugh and take notice of the political strife within a small region as a group of people must put aside their differences and communicate. The convent, who treasures silence, is confronted by a very noisy, brash group of people. While the nuns try to help, much of what is offered to the family goes against their religious principles: the drinks offered are not Kosher, they cannot dial the phone because it is Shabbat, etc. This is a decently constructed, but predictable film that is awkwardly cute, but rather basic when we you get right down to it. An abandoned bicycle brings back memories of a childhood friendship during the war in Kosovo. A story about children during wartime? You know this is going to be a cheerful story. #sarcasm. Two men are driving along in a car when suddenly, they come across an abandoned bike in the middle of the road. The passenger named Petrit gets out of the car, picks up the bike, and says he will find his own way home. From there, the short flashes back to him as a child during the war in Kosovo. Petrit remembers his friend, Oki, who had a bike exactly like the one he found in the street as an adult. From there, this is a tale of friendship, brotherhood, war, and reconciliation. It is one of those gut-wrenching tales that shines a light on the horrendous nature of war. 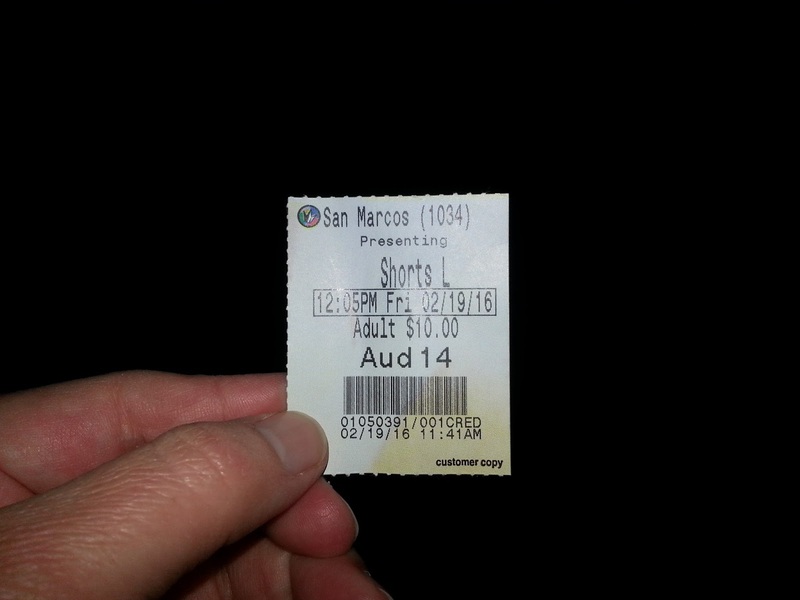 It is a devastating, depressing, and grim story that has been winning awards on the festival circuit for some time now. The fact that this is based on a true story makes it all the more dismal. 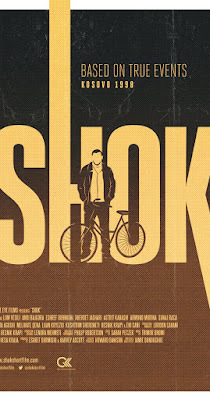 "Shok" is a bleak but well told short film, though garnering an emotional reaction out of a situation like this is like shooting fish in a barrel. I know I still sobbed my eyes out. Movie: "Everything Will Be Okay"/"Alles Wird Gut"
A divorced father picks up his eight year old daughter for their scheduled weekend, but he has more planned than just a simple visit, which may lead to serious consequences. One of the more relatable films of the Oscar nominated live action shorts, Patrick Vollrath's "Everything Will Be Okay" focuses on how divorce and loneliness affect a person's actions. Many people have experience with the subject of this short as divorce is a fairly common occurrence in today's society. One of the biggest troubles that arises from divorce is the custody of children. 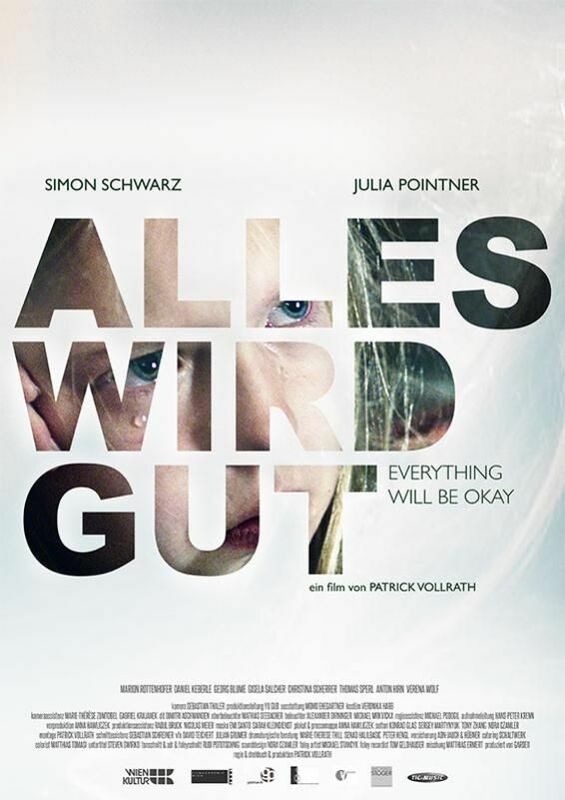 Michael, played by Simon Schwarz, sees his daughter Lea, played by Julia Pointner, every so often, but it seems like Lea's mother wants to keep her from seeing her father. In a desperate attempt to make this change, Michael does the unthinkable in this depressing, palpable short film. Schwarz and Pointner both perform excellently. It's another film destined to tug at your heartstrings and hit you hard, especially if you have been through something like this personally. A man (Matthew Needham) with a socially debilitating stutter debates whether or not to meet the woman he has had an online relationship with (Chloe Pirrie) for the past six months in person while she's in town. 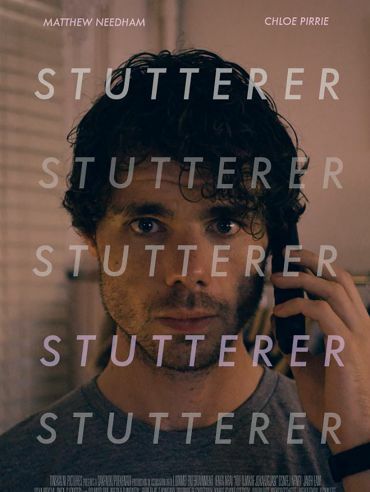 "Stutterer" has the least amount of time in any of the live action short film nominees this year, clocking in at just 12 minutes in length. In this short time span, director Benjamin Cleary does an excellent job developing his main character Greenwood, played by Matthew Needham. Greenwood is a man with a eloquent, verbose inner monologue, "excels in the art of self-pity," but has little ability to express it because of his terrible, debilitating stutter. Even Ellie, who we primarily learn about through an internet chat screen, is a well developed character the audience can easily understand and empathize with. We root for her and Greenwood's relationship, which makes the emotions of this short run deep despite its simplicity. In 12 measly minutes, "Stutterer" did more for us emotionally than most feature length films we see in a given year. The payoff is totally worth it, and BigJ and I both found ourselves crying once this one was finished. An extremely engaging, well made dramatic short! An army translator named Feda (Layla Alizada), stationed in Afghanistan, has an unbelievably difficult first day on the job. Another 'war is hell' movie among the Oscar nominated shorts this year. 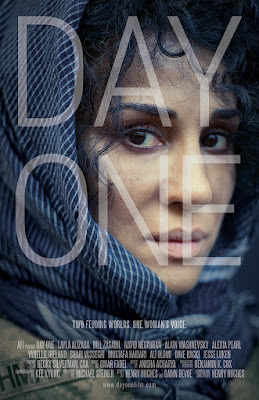 Of the short films, "Day One" seems to have the highest budget and the most notable actors. Navid Negahban, who stars as Dr. Nasir in the film, has been in movies like "American Sniper" and had a major reoccurring role in the Showtime series "Homeland." Layla Aziada stars as Feda, an army translator who is ready to start her first day on the job in Afghanistan. On this first day, she experiences things she never thought she would have to do as a translator: deliver a baby for the wife of an enemy combatant, who has just tried to bomb her unit. This short is another tragic story that tries to draw an emotional response from the audience. Well, they nearly succeeded. 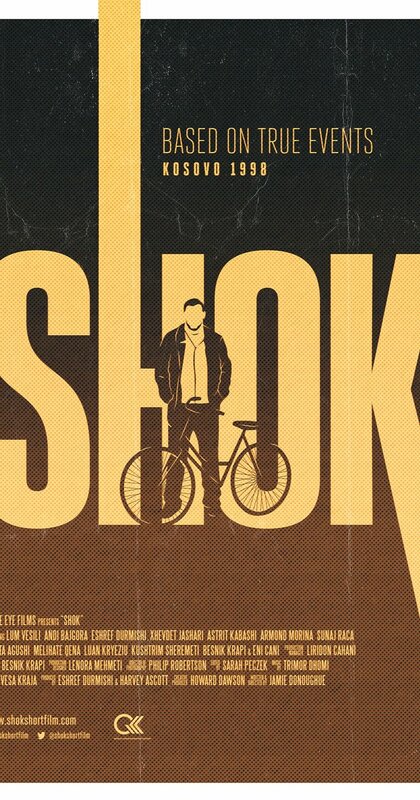 Much like "Shok," this film deals with a tough, shocking subject matter that will do its best to draw some kind of reaction. For us, though sometimes shocking, it never really raised the stakes to a level that fully moved us emotionally.